While GBP is massively under the influence of Brexit deals, Industrial Production will be released today in the US. 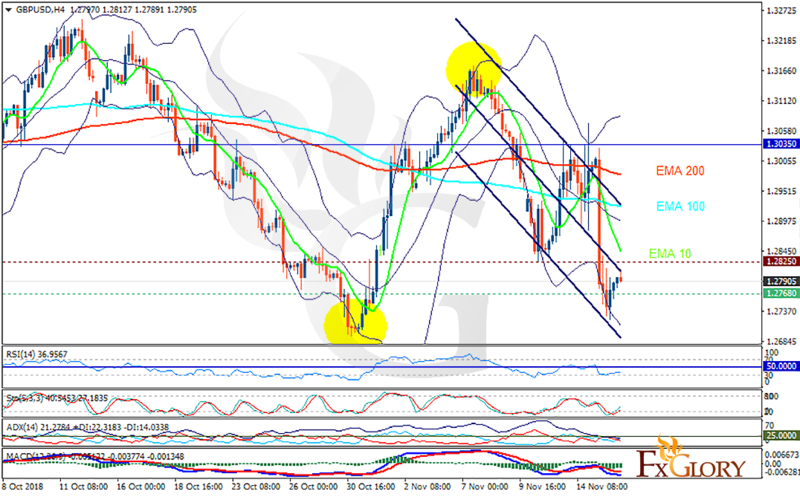 The support rests at 1.27680 with resistance at 1.28250 which both lines are below the weekly pivot point at 1.30350. The EMA of 10 is moving with bearish bias in the descendant channel and it is below the EMA of 100 and the EMA of 200. The RSI is moving in oversold area, the Stochastic is showing upward momentum and the MACD line is below the signal line in the negative territory. The ADX is not showing any clear signals. The support level breakthrough will push the pair down towards the lower Bollinger band at 1.27, otherwise GBPUSD will form its correction pattern towards 1.30.